Are you a third-party seller on Walmart.com and in need of a company to handle your warehousing and order fulfillment needs? Here at eFulfillment Service (EFS), we specialize in ecommerce order fulfillment services for marketplace sellers. We integrate with Walmart and numerous other online sales channels to make it fast, automated and easy for merchants to get products to their customers. Here is a brief overview of our company and a few of the reasons why so many Walmart sellers trust us to handle their order fulfillment and shipping needs…. 1. We are a family-owned and operated 3PL (third-party logistics provider). 2. We handle everything in-house, from warehousing and order fulfillment, to client support and information technology (IT). 3. We provide a great deal of flexibility to Walmart and marketplace sellers, meaning we don’t have any setup fees or long-term commitments, no minimum order volume requirements, and no long-term storage fees. 4. We have been shipping ecommerce orders directly to consumers since 2001, and we have processes in place to help ensure we meet the strict order fulfillment requirements of Walmart and similar marketplaces. 5. Our integration with Walmart allows us to retrieve your orders automatically, and also send inventory and tracking numbers back automatically, making things fast and easy while providing Walmart with the information they need in a timely manner. 6. We supply brand-neutral packaging as required by Walmart, with several free packaging options. 7. We can place your seller name on the shipping label of each package, as allowed by Walmart. 8. We include packing slips with each outbound order, as allowed by Walmart. 9. We are able to handle any product bundling requirements that may be needed for your Walmart listings. 10. We have earned the trust of hundreds of online merchants as a result of our experience, technology, dependability, and our A+ rating with the Better Business Bureau. In addition to handling Walmart orders, for many sellers, we also handle the fulfillment of orders from other sales channels, including eBay, Jet, Amazon, and their own ecommerce stores. Below is an overview of how the process works when a new client begins using our 3PL services…. 1. Sellers will begin by working with their dedicated account manager to get setup within our system and become familiar with our web portal, where they will be able to monitor their orders, inventory levels, set up alerts, run reporting, customize settings, and more. 2. 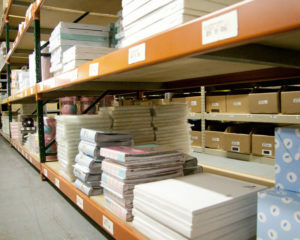 Sellers will also work with their account manager to coordinate their first inbound shipment to our fulfillment center. 3. Your account manager will work with you to get your products in our system, and to setup the integration with Walmart, for which there is no cost. 4. Once your inventory arrives at our warehouse, we will count it, inspect it, then stock it, and we can immediately begin filling and shipping your Walmart orders. 5. From that point forward, the process will become smooth and familiar, and along the way you will have access to our web portal, your dedicated account manager, as well as our entire customer support staff for any assistance you need. If you’re in need of an experienced, proven partner to help you maintain an optimal seller rating and keep your Walmart customers happy, request a quote today and one of our friendly team members will be in touch with you soon!